If you like this free game, try Spider Solitaire. 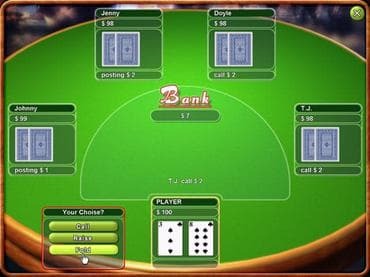 Free real Texas Hold'em Poker is the most realistic poker around. Whether you're a beginner or a pro, you can enjoy the thrill of the perfect hand, or the perfect bluff. Learn the ropes of several popular poker variations and sharpen your skills at the poker table. Play today - it's the closest thing to actually being there! Download free full version windows game today and become an elite poker player! Free Game Features: - Realistic poker game; - Amazing graphics and relaxing soundtrack; - Game statistics; - Free full version game without any limitations. If you have questions about Texas Hold’em Poker game, please contact us using this form.